Act NOW to Reserve Your SEAT! Last year's Panelists included (from left): Chantal Aida Gordon, Leslie Bennett, Riz Reyes and Nicole Cordier. 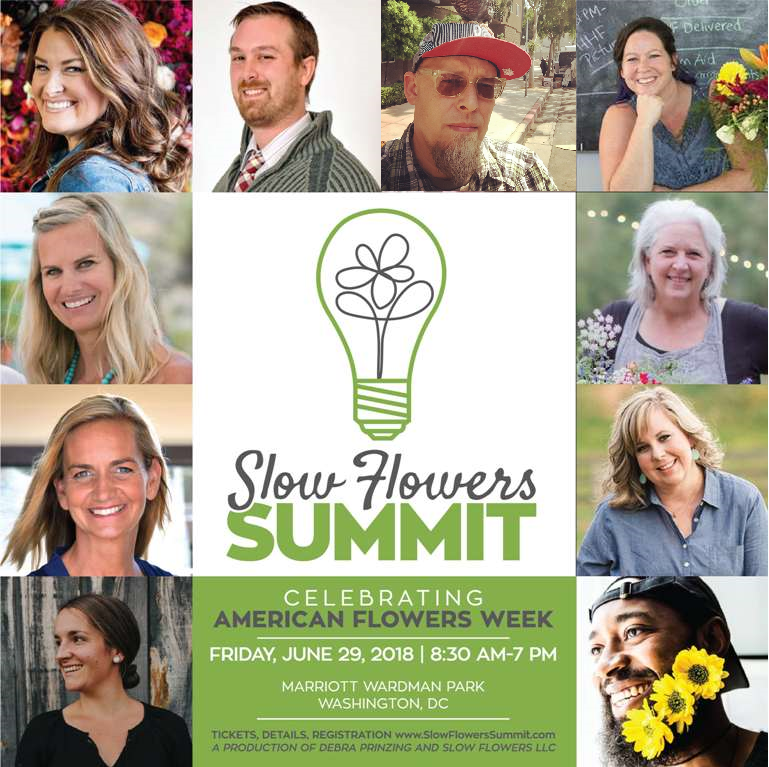 The Slow Flowers SUMMIT is coming up on June 29th in Washington, D.C.! If you've been waiting to reserve your seat, grab your ticket NOW! Avoid FOMO and be in on a stimulating and thought-provoking experience that feeds your intellect, passion and vision as a floral entrepreneur. Reserve your ticket to the SUMMIT and join progressive florists, designers and growers! We have attendees coming from Minnesota, Illinois, New Jersey, New York, Connecticut, California, Washington, North Carolina, Virginia, Maryland, Rhode Island, Pennsylvania and more! Last month's Slow Flowers Dream Designer Ticket Promotion ended on Sunday, May 20th. Our winner is Gloria Collins of GBC Style in Montebello, New York. Gloria, we're thrilled that you're coming to the SUMMIT, following which you'll be joining Debra at the exclusive evening with Laura Dowling, former White House Florist, on Sunday, July 1st. Congratulations! Where: Marriott Wardman Park, Washington, D.C.
Why: We're excited to co-locate with AIFD's National Symposium "Discover"
What is the Slow Flowers Summit? Called a "TED Talk for Flower Lovers," the SUMMIT is a one-day lecture series for creative professionals, thought leaders and pioneering voices in the progressive American-grown floral community. 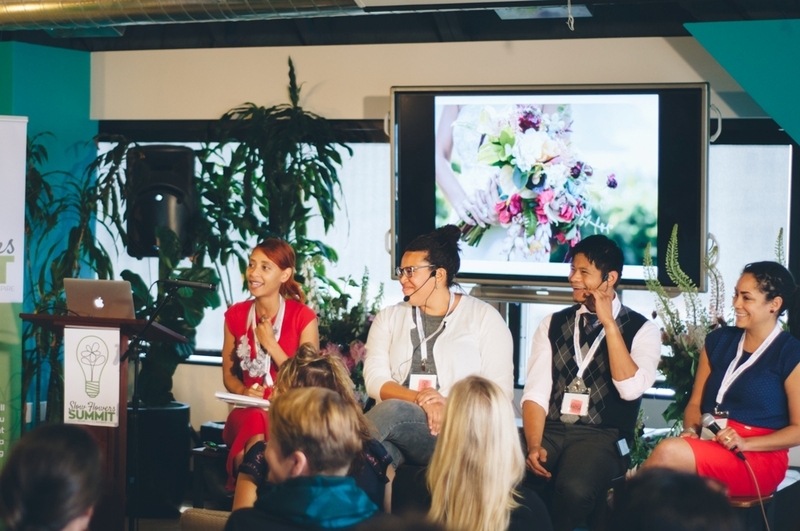 Designed to stimulate curiosity, examine conventional assumptions and explore conscious and ethical practices in the floral industry, the Summit agenda asks speakers and audience members alike to inquire, inform, include, instigate and inspire. Who: Debra Prinzing developed the SUMMIT as an a new "live" component to the American Flowers Week campaign (June 28-July 4). 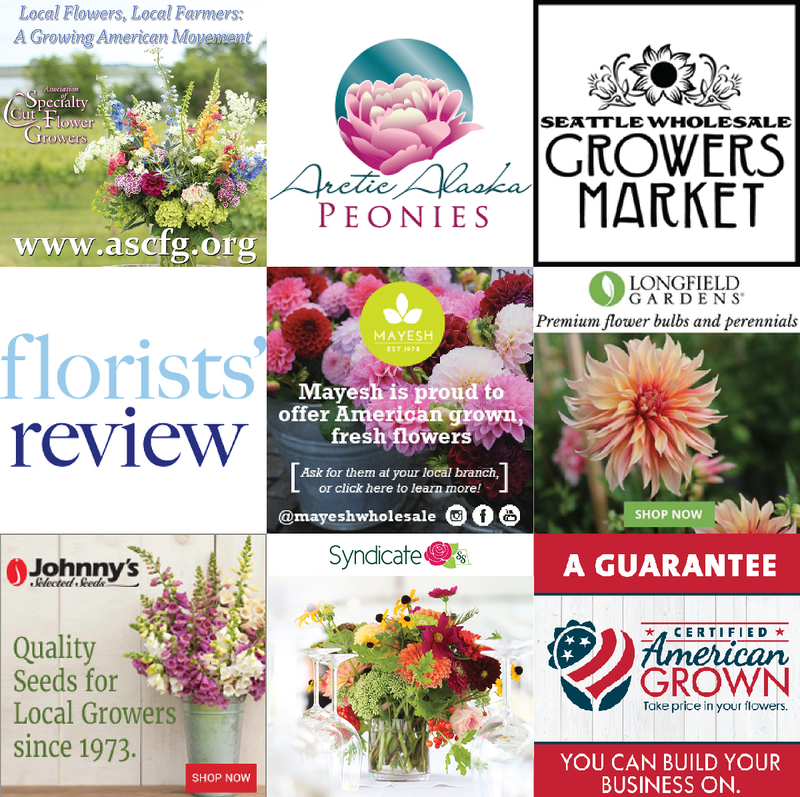 AFW devotes a week of activity via events and social media platforms to promote domestic flowers, raise consumer awareness and unite America’s flower farmers with the U.S. floral industry. 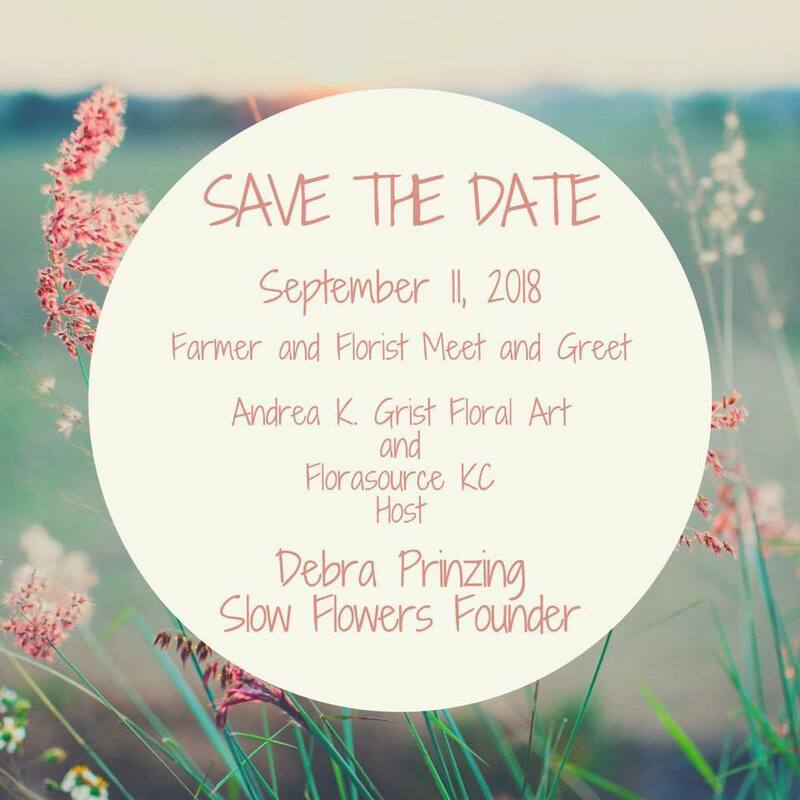 You're coming to Washington, D.C. for the Slow Flowers Summit and thinking "What else can I do while I'm in the Nation's Capitol?" We have the perfect excursion for you! On Thursday, June 28th, our friends at Wollam Gardens in Jeffersonton, Virginia, are opening their picturesque fields and grounds for Summit guests! 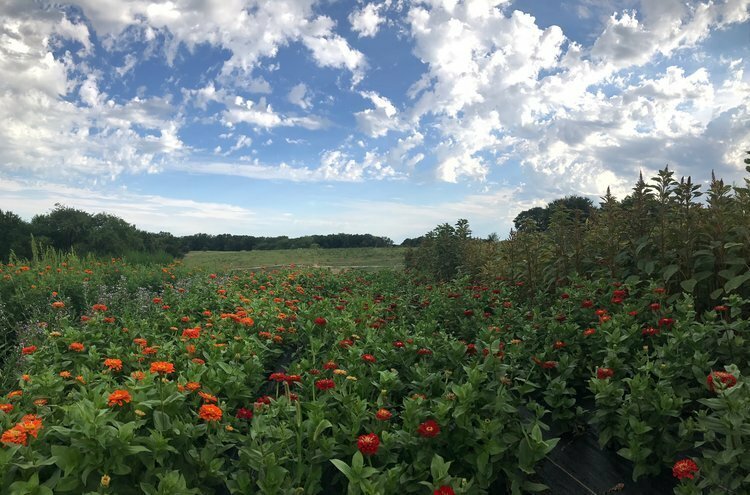 Please join us for a fabulous day on the flower farm, complete with a guided tour led by veteran flower grower Bob Wollam, lunch under the Pavilion and picking/cutting priveleges before you leave. Carpooling is encouraged! Wollam Gardens is located about 1-1/2 hours outside D.C.
You'll find great surprises inside our Swag Bags from Johnny's Seeds, Syndicate Sales, Longfield Gardens, Florists' Review Magazine, Offray Ribbon, Ularas, Farmgirl Flowers, Association of Specialty Cut Flower Growers, American Flowers Week, Price & Profit Design and more! 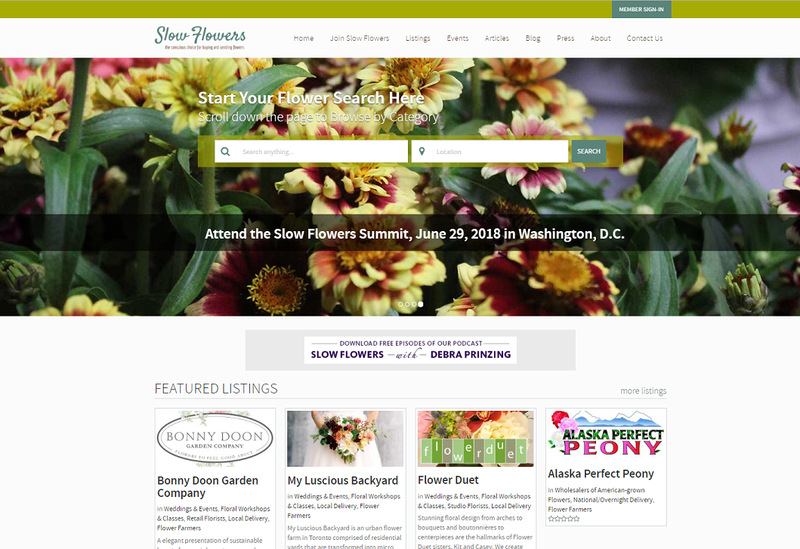 The updated platform is a visually beautiful and user-friendly web site for consumers in search of American-grown flowers. 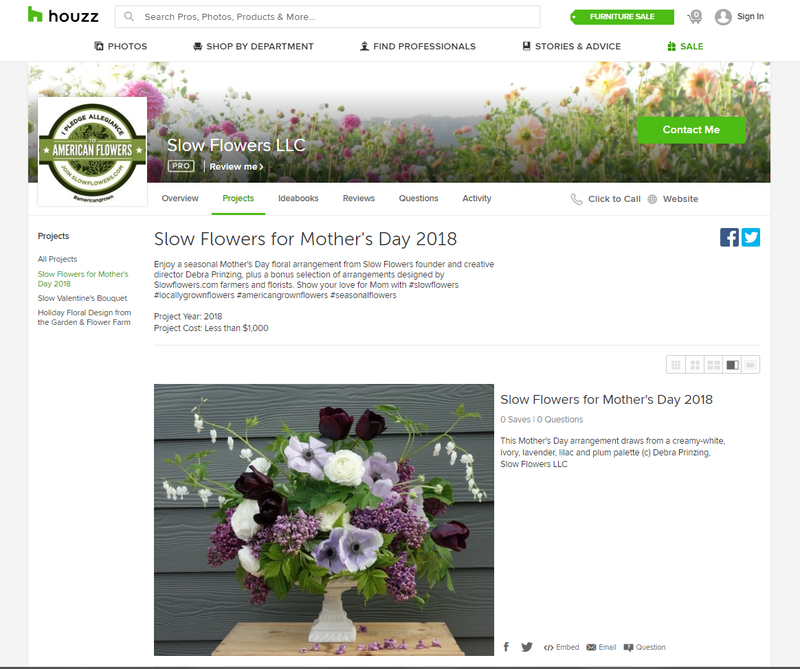 Since its launch in 2014, Slowflowers.com has provided floral consumers with a one-stop address for “slow” flowers and foliage, wedding and event designers and myriad options for gifting local and seasonal flowers. 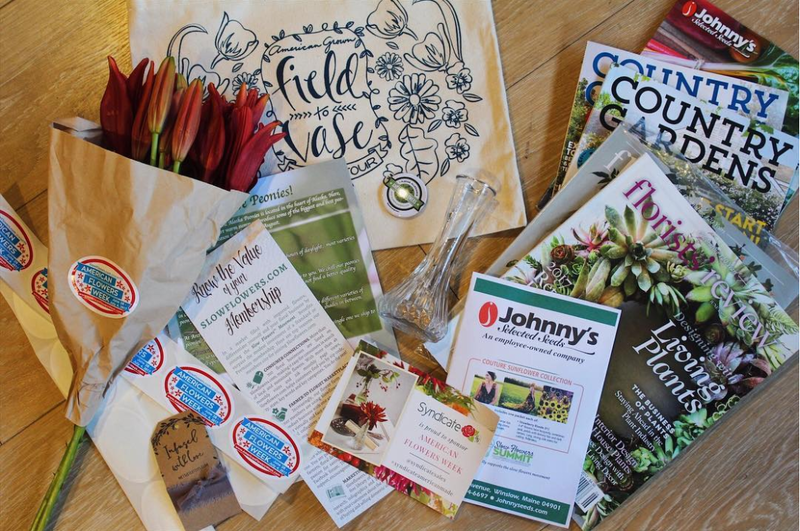 Participation among floral professionals has grown from 250 vendors to more than 700 vendors across the U.S. and Canada. The site averages 29k unique users and 191k page views annually. We've gained significant momentum, having generated more than 5 million impressions across social media platforms in the past 365 days! 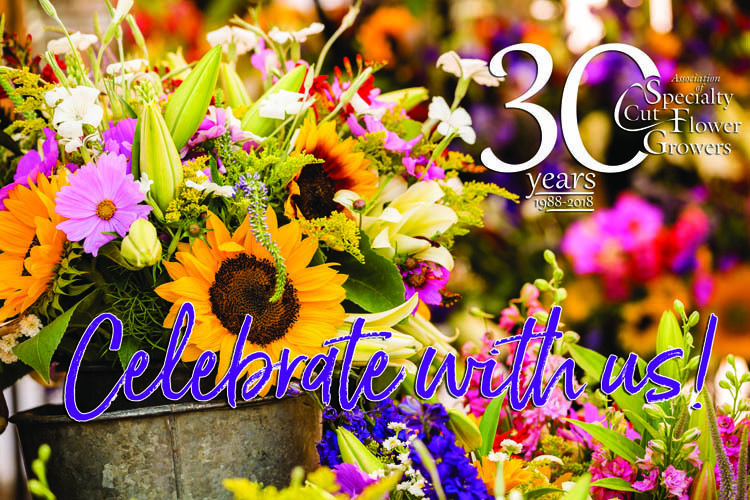 Everyone involved in flower farming and floral design is encouraged to highlight America’s flowers with the #americanflowersweek hashtag to draw attention to the campaign. 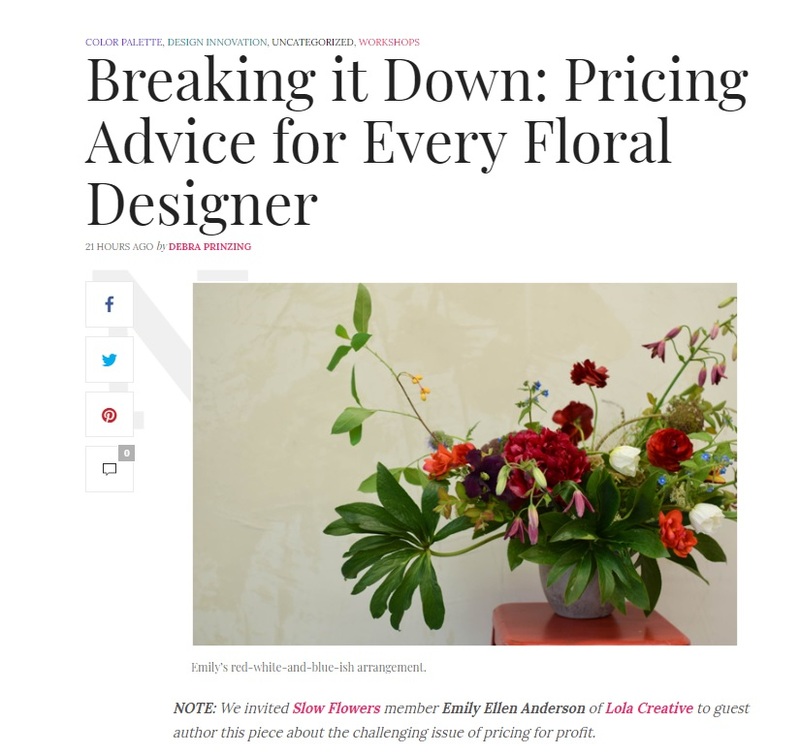 Read this insightful and transparent article contributed by Slow Flowers member Emily Ellen Anderson of Lola Creative (and a 2017 Slow Flowers Summit speaker) on a new way of pricing florals to ensure you are paying yourself fairly and sustaining your business! Emily includes a pricing recipe and other resources that she's developing for her new online course called Price & Profit Design. Check out her article here. The May issue of Florists’ Review explores the magnetic vibe of LA LA LAND, so I wanted to showcase several talented Los Angeles area creatives for our Slow Flowers Journal section, including the stories of Slow Flowers members and a small retail business there that I love. Please I’m excited to share the May 2018 articles, people, voices and flowers featured in the print edition of Slow Flowers Journal — a snapshot of Los Angeles’s floral world seen through the Slow Flowers lens: artisanal, locally-grown and locally-made. 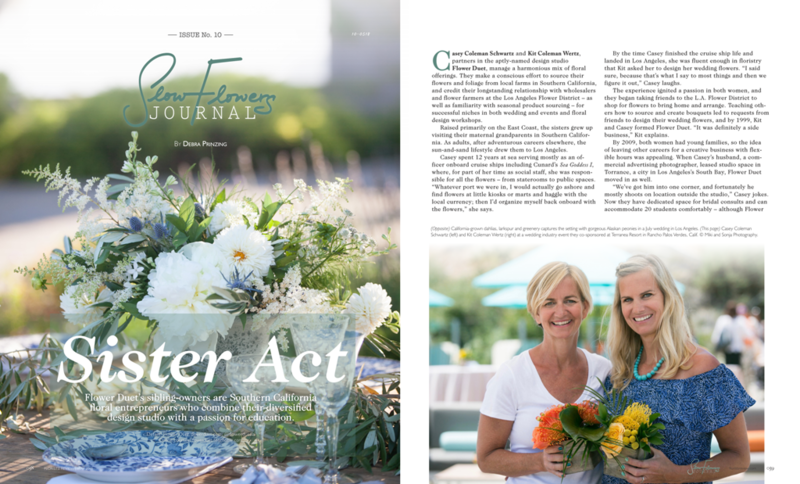 This editorial project resides in the pages of Florists’ Review — please enjoy Issue No. 10. Here’s a peek at the features and columns from the May Issue. Flower Duet (in "Sister Act," the story shown above) features Slow Flowers members Kit Wertz and Casey Schwartz and their story of designing a diversified floral studio. Mud Baron, featured in "Flowers On Your Head," is part of the Los Angeles urban gardening scene with a passion for changing the relationship kids and adults have with the natural world. His story is part of our American-Grown Hero series. Potted, an inspiring Los Angeles gardening, plants and design retailer is featured in our "Made in the U.S.A." series. 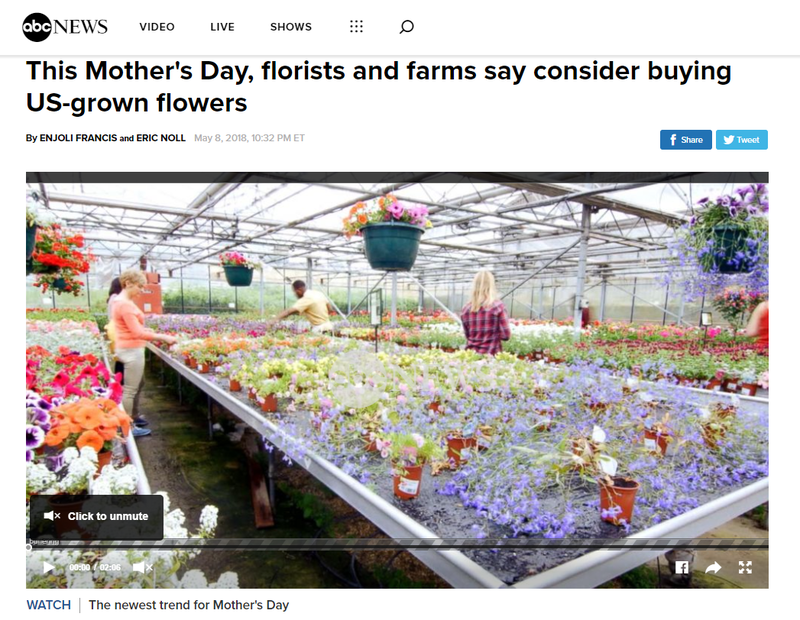 "The options to buy U.S.-grown flowers are growing. Slow Flowers, run by Debra Prinzing, is a nationwide online directory for florists to find U.S.-grown flowers. In Chicago, Field and Florist is located in the Wicker Park neighborhood and also uses the Slow Flowers network to supply more than 40 Chicago-area florists with flowers." Look out for seasonal flowers that don't create much waste. If you're looking for floral design for a wedding or large event, embrace seasonality. There are gorgeous flowers available twelve months a year, even in northern climates. You should also let your florist know you'd like to see them reduce waste. At Molly Oliver Flowers we reuse and rent vessels and compost all floral waste to reduce our contribution to the waste stream. This is hugely important! Around New York, I am a huge fan of Rock Steady Farm & Flowers, Treadlight Farm, Stems Brooklyn and Petal by Pedal. If you don't live in NYC, check out Slow Flowers or the Association of Specialty Cut Flower Growers for a directory of farmer-florists in your area! You can sift through both by ZIP code. 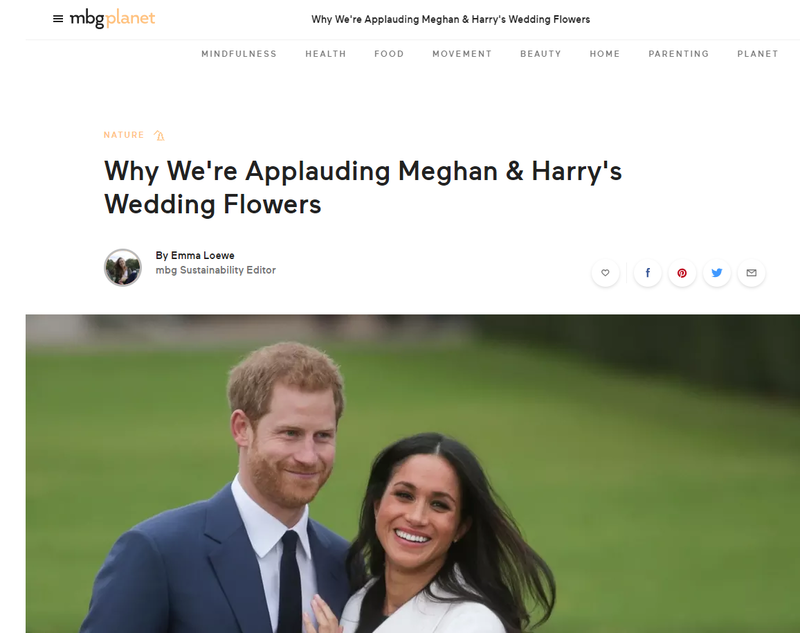 "As brides demand the look of Meghan’s informal, restrained bouquet they will also follow her emphasis on the source of the flowers, resulting in a boost for the Slow Flowers movement and reduced demand for flowers grown in South America. . . . So next time you see a bride walking down the aisle, don’t be surprised if her bouquet is a small, hand-tied cluster of understated, seasonal flowers from a nearby flower farm, with a few special blooms contributed by the groom." 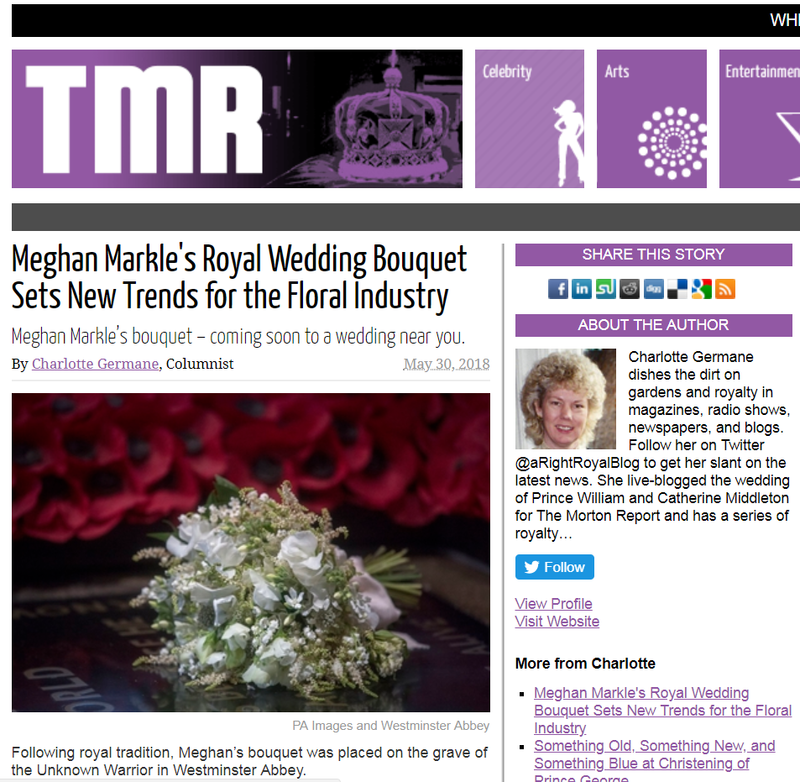 Thank you Charlotte Germane for the acknowledgement about the influences of Duchess of Sussex on our floral preferences! Farmgal Flowers, Stargazer Barn, Farm to Vase, Little Big Farm and Mossflower. 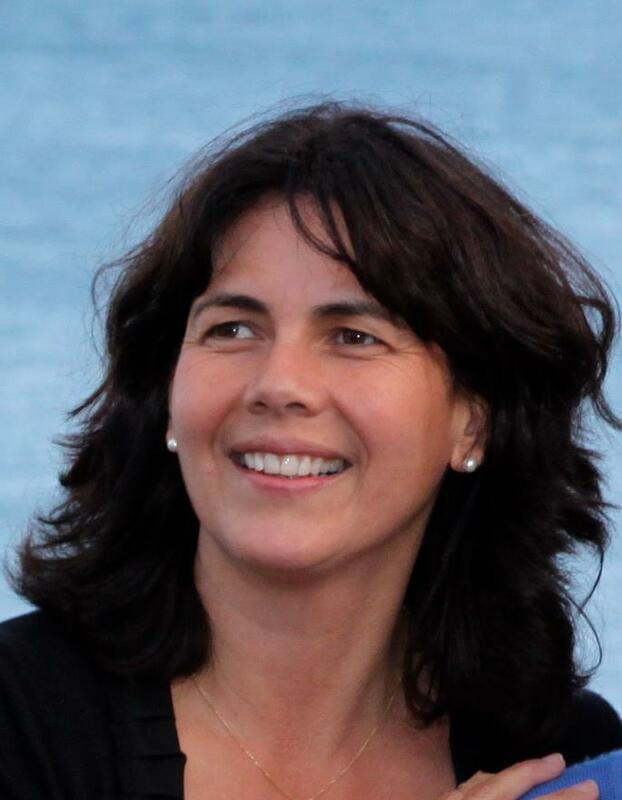 AIFD has invited Debra Prinzing to speak on "Field to Vase: Connecting Grower, Florist and Consumer" as part of the group's first-ever "Field to Vase Florists" educational track at this year's Symposium. The track is promoted as "acknowledging the movement toward sustainability and locally grown, AIFD welcomes industry professionals who share the farmer/floral artist lifestyle." 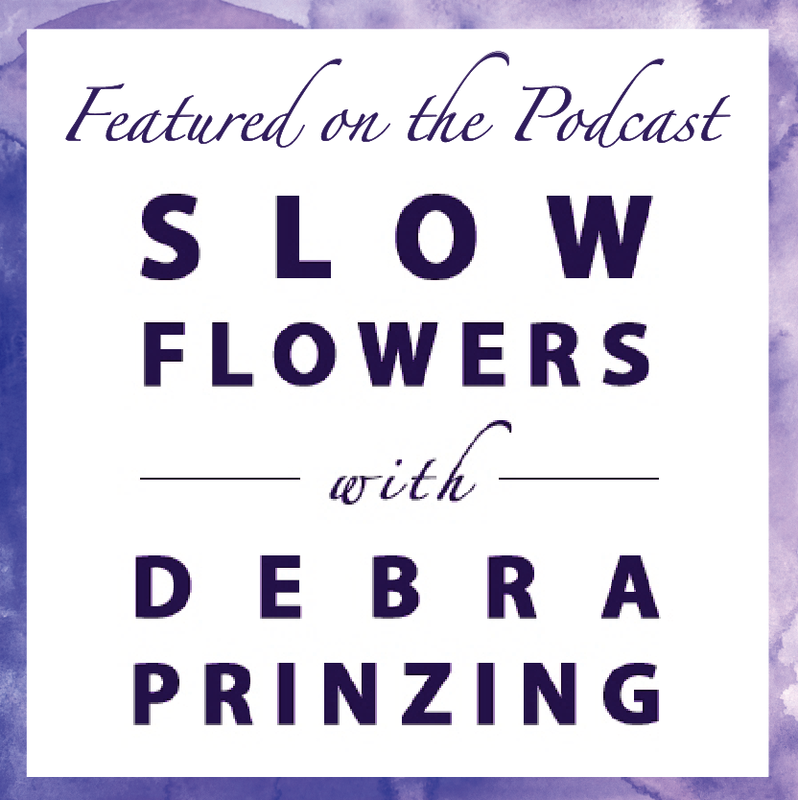 Debra Prinzing, another longtime friend and garden writer, is the host and creator of Slow Flowers. 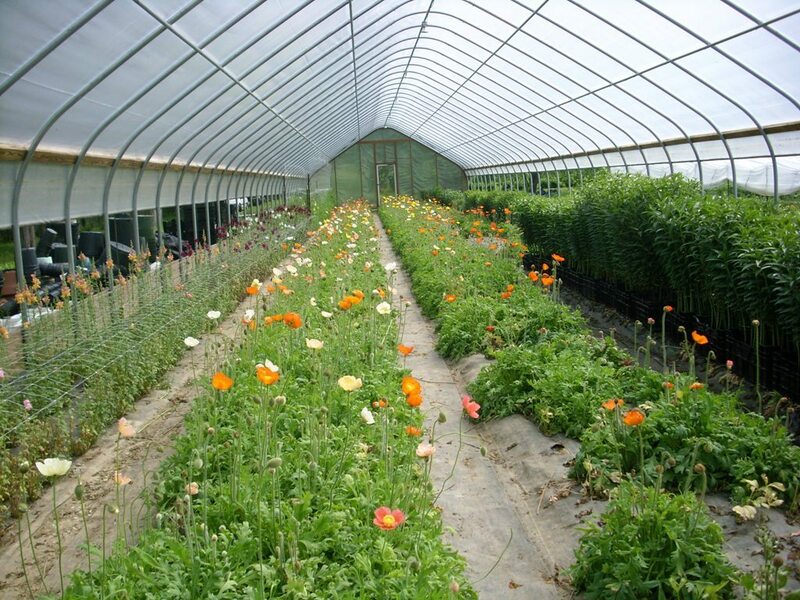 She started the movement in 2008 to bring attention to the responsible US flower farmers. She soon found herself on a journey to educate people about the US flower market and to share stories of the incredible, hard-working flower farmers who are doing it right. Her passion shines through in her voice. Listen to Katie and Suzi's interview on 2018 Garden Trends. READ FULL REPORT HERE. Listeners have downloaded more than 323,000 episodes to date! 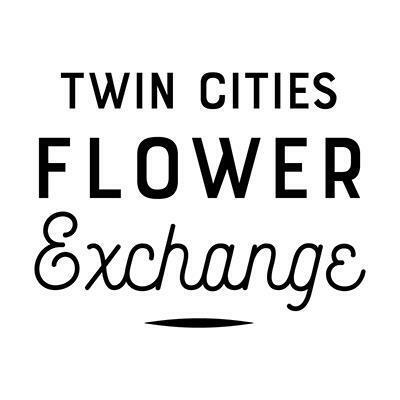 Episode 349 (May 16): Finding a Market for Your Flowers with Bethany Little of Charles Little & Co.
We welcomed 36 new & renewing members representing 20 states to Slowflowers.com in May! Check them out and be sure to follow and say hello on social media! *Little Acre Flowers, Washington, D.C.